Argentina's San Juan province has ordered Barrick Gold (TSX, NYSE:ABX) to halt operations at its Veladero mine following the decoupling of a pipeline carrying gold and silver solution on the leach pad Tuesday night. In a brief statement issued Thursday evening, Barrick said authorities had restricted the addition of cyanide to the Veladero mine’s heap leach facility pending the verification that remedial works have been completed. The Toronto-based miner noted the March 28 incident was quickly addressed, adding that it posed no threat to the environment or the health of its employees and communities. Measure is temporary, pending more information on what happened and the possible consequences of the new incident, San Juan’s governor said. San Juan’s governor, Sergio Uñac, told local newspaper La Nación (in Spanish) his decision was based on a conversation with the head of the province's mining police, who personally went to the mine on Wednesday and reported to him this morning. The authority noted the measure was just temporary, pending more information on what happened and the possible consequences of the new incident, the third issue affecting Veladero in less than 18 months. Operations at the mine were briefly halted in September after falling ice damaged a pipe, causing a spill containing cyanide. Earlier in the year, the Toronto-based miner had been ordered to pay a 145.7m pesos fine (about $9.8m at the time) over a cyanide spill at the same mine, which happened almost exactly a year before. When Barrick announced the fine in March last year, it said it had undertaken a plan to strengthen controls and safeguards at the mine, including increased water monitoring. 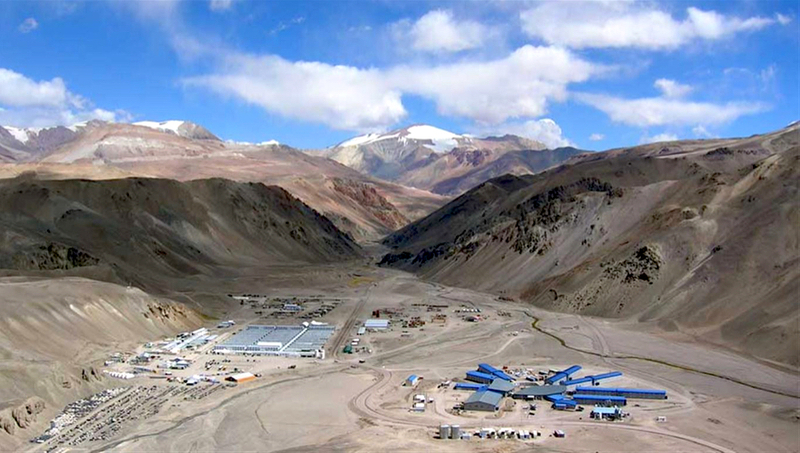 Veladero, one of the largest gold mines in Argentina, produced 544,000 ounces last year. Proven and probable mineral reserves as of December 31, 2016, were 6.7 million ounces of gold, according to the company's website.